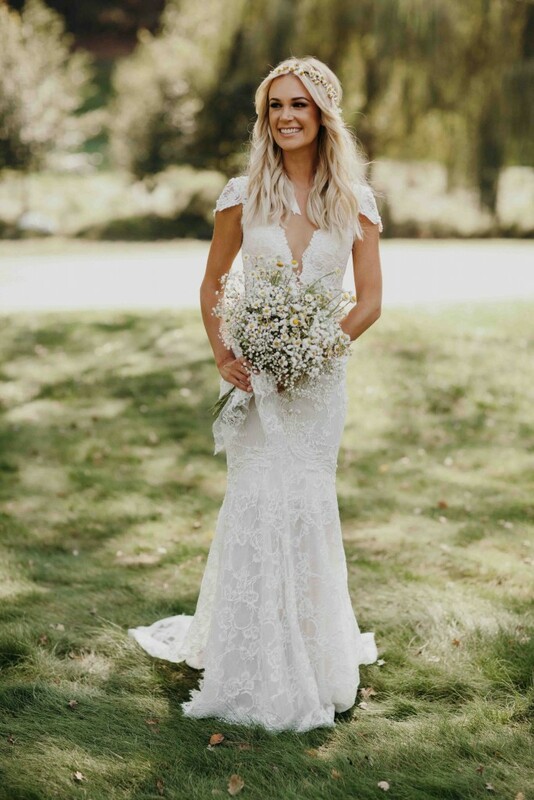 Nicole Hanriot, founder and designer of swimwear company, Beach Riot, got married in a stunning BERTA dress and looked phenomenal on her special day. 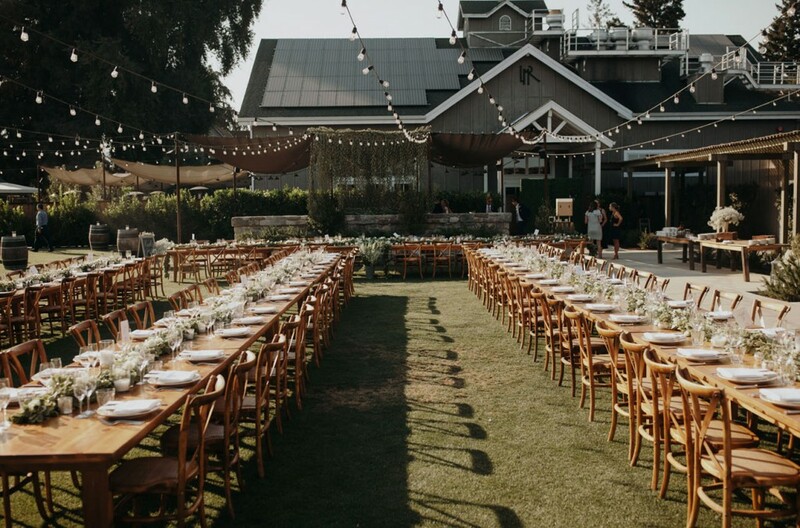 The wedding took place in Napa County at Long Meadow Ranch. Nicole’s beau, Josh, actually proposed to her in Napa making this the perfect location for their wedding. 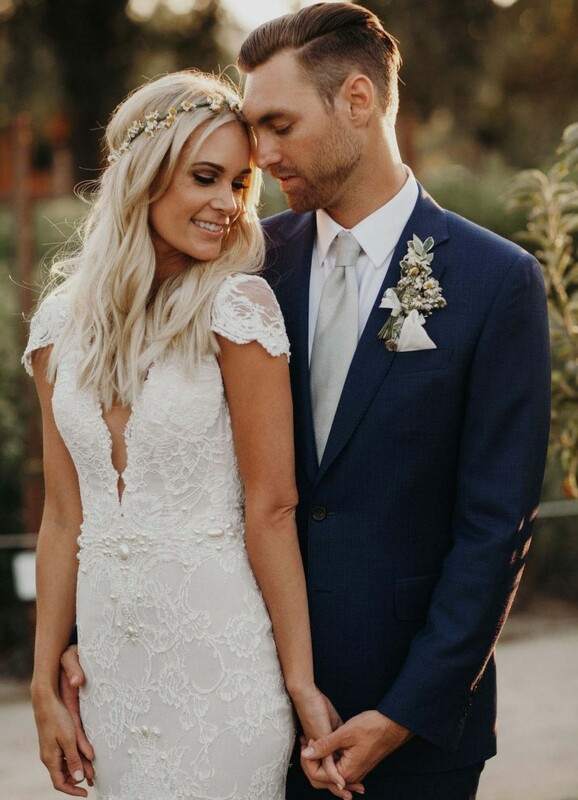 Nicole wore a breathtaking, hand crafted lace cap sleeved gown with hints of pearl. It fit her perfectly and worked really well with the theme. Whimsical, light, and romantic, we couldn’t imagine Nicole in any other style. 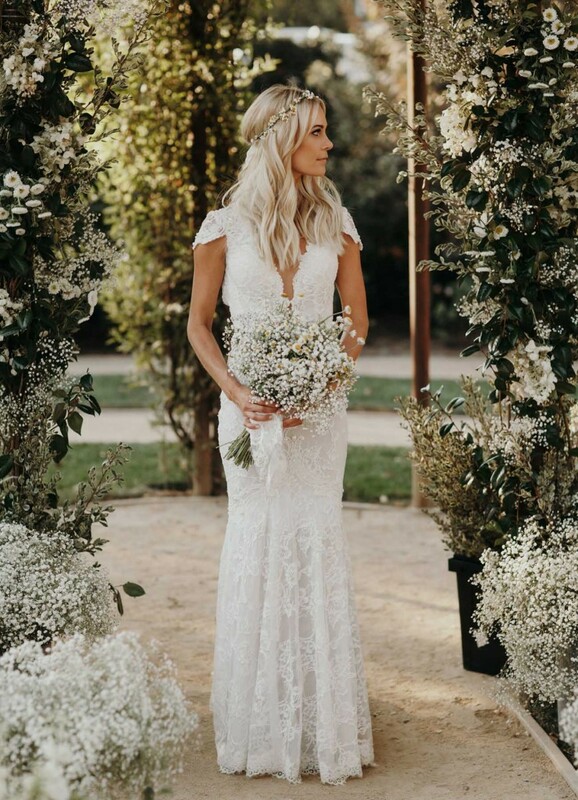 She wore BERTA Style 14-04 – a classic! We love that she completed her look with loose, airy waves and a beautiful wildflower bouquet. Her matching flower crown was the perfect touch to her look!